This Apple Keyboard and Magic Trackpad has a MacBook Air Trapped Inside ! 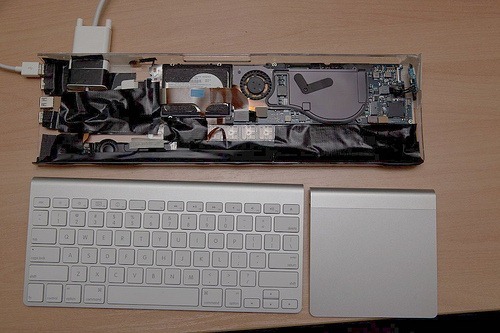 The guy behind The MacBook Air Project site has managed to fit a fully working Mac (MacBook Air to be more precise) under a combination of Apple Wireless Keyboard and the newly released Magic Trackpad. It is one single piece which you can connect to any monitor to enjoy full Mac OS X experience. Amazing isn’t it? It features: 1.6 Ghz Core 2 Duo processor, 2GB of RAM, and 80GB of HDD. He did this because he believed that it “will be used much beyond internet / email….maybe as an Apple TV replacement”. 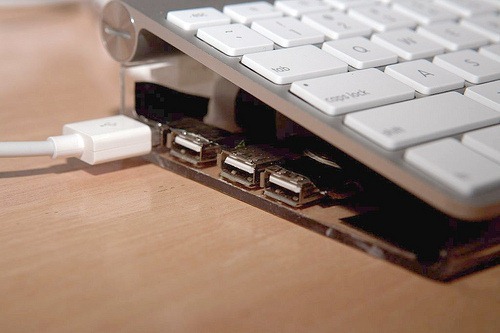 Turn Your iPhone 4 into a (Mini) iMac with this Awesome Must Have Accessory ! congrats to the dude, pretty need idea .. This is wonderful and practical too! Even better than the MacMini! I do want it! goddamit thats looks nice !!!! Ruins a perfectly good keyboard!